I frequently see an arguments under YouTube videos or blog posts where someone makes a statement trying to argue that, clearly this person can’t have OCD because it doesn’t make sense to them. Let’s just stop right there and let me say this…OCD is fuelled by irrational fears. It is called Obsessive Conpulsive Disorder for a reason. The thoughts are horrifically driven by the disorder, so is it any shock that they may not always make sense? The key word in all of this is irrational. We know that these thoughts, fears and behaviours are irrational and may not really make sense, but the feeling of utter terror is so real that we cannot actually rationalise with ourselves. A prime example of people assuming that someone’s OCD can’t be real because it doesn’t make sense to them, is if a sufferer with contamination OCD has tattoos. Now people will point the finger and claim that this person can’t possibly have OCD because if they’re so scared of germs, then how on earth did they manage to get a tattoo. Ughhhh. This mindset drives me insane. YES, it is very much possible to have contamination OCD and also have a tattoo. OCD does not have to follow some sort of systematic, linear way of thinking. They may have a very strong fear attached to personal item cleanliness, but not have a fear with outside stimuli cleanliness. Does this mean that their OCD isn’t real because their compulsions may not make ‘logical’ sense to non-sufferers? Hell no! If someone’s compulsions shift over time from obsessive counting to let’s say obsessive tapping, does this mean their OCD isn’t real? If someone can seemingly repress their compulsions when around people, does this mean their OCD isn’t real? If someone’s compulsions are purely mental and thus doesn’t show any outward signs, does this mean their OCD isn’t real? It can be extremely detrimental to the sufferer to have people constantly trying to diminish their struggles. It can make them doubt their feelings and struggles and then ultimately preventing them from reaching out for help, because they may feel it’s not ‘real’ enough. OCD is an mental illness. It is 100% real and should be treated with the utmost respect. Why do people feel the need to call someone out about something that they may not even know anything about. Actually, if they did know something, then they probably wouldn’t even be commenting that in the first place. Occurrences like this highlight why we must push for awareness and also, it’s not just within OCD that people get told their mental illness are seemingly not real. It happens within all mental disorders and I feel it can be one of the most destroying comments to hear. What if you broke your leg and someone just completely ignored that it was actually broke and just had a go at you and ordered you to just get up and start running. You’d be furious right? Well that’s what it feels to us when we’re told our mental illness isn’t real. It can be so isolating and hurtful. So please, I ask of you. If you ever feel the need to comment out on someone’s OCD or any mental health condition because you feel it isn’t ‘real’ enough. Just stop and think what you could be doing to this persons mindset. Comments like that can be so dangerous. Please send this to anyone who feels that it’s acceptable to diminish someone’s mental illness. We must educate those and push for a better understanding in all areas of mental health. Share as much or as little as you feel comfortable. 🙂 It’s great you’re seeing a therapist though. Great post, Ellen, and I can tell this is something that really upsets you, as it should! Thanks for educating so many people with your knowledge and passion! Very interesting to read, Ellen! I think the key sentence in this post is this one: OCD is fuelled by irrational fears. Thanks Ellen for another important message. 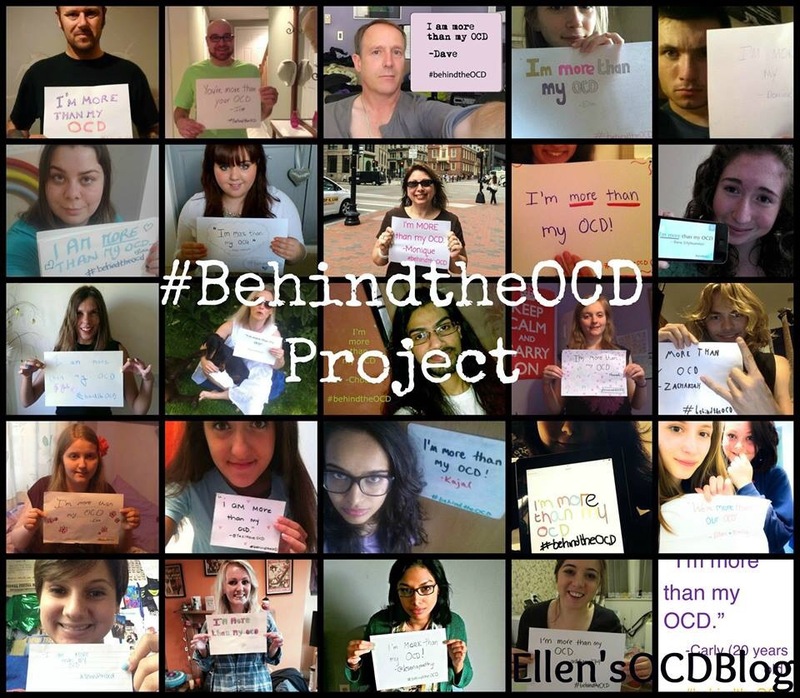 Nobodys feelings should be ever be minimized, especially of those who suffer bravely with OCD. My son has severe untreatable OCD. He suffers terribly eveeyday. As his Mother, I try all the time…to listen with compassion while still not providing the no no “reassurance”. Oh bravo! This is so well written! Thank you! I have irrational fears. Irrational, that’s how professionals call it. I was going through a row patch and wasn’t sleeping at all. At one point I didn’t sleep for 4 nights in a row. I thought I was going insane. Ever since I developed a fear of not being able to sleep. And that’s been going on for about 3 years now. Irrational. It feels real to me. Just like OCD is real to someone else. How can we tell our brain to believe certain fears are not important? It is doing what it is supposed to do, keeping us alive, helping us to avoid danger. I hope it does change for the better, ’cause besides having the fear itself….being occupied with what others might feel/think about it is sometimes more exhausting than the fear itself.